Trees found on poor or wet soils throughout the northern hemisphere. Produces conspicuous male catkins and smaller female ones which develop into cone-like fruits. Some make excellent windbreaks. Genus of about 35 species of deciduous trees and shrubs found throughout the northern hemisphere usually on poor or wet soils. 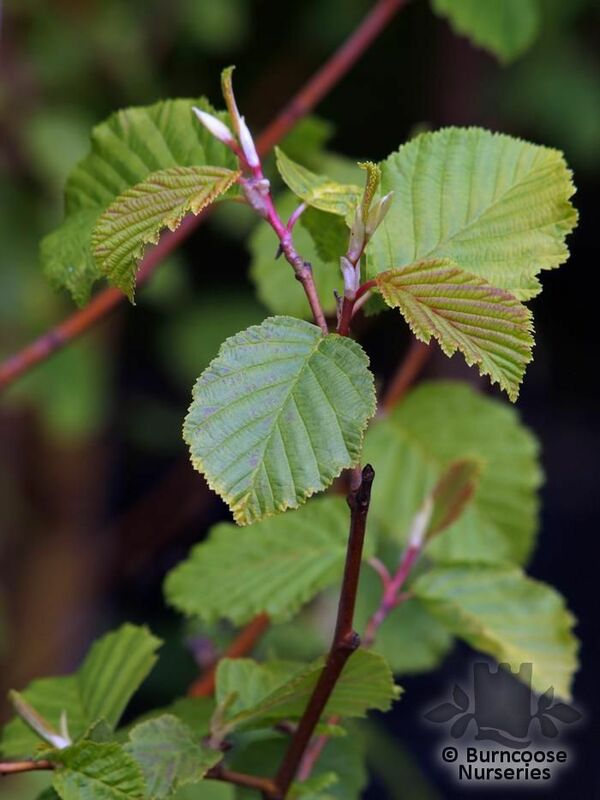 Alders are pioneer tree species and used for land reclamation. Their ability to fix nitrogen in the soil improves feartility for species following them. Other uses include firebreaks and for the bodies of Fender electric guitars. The majority of pilings on which Venice was built was alder wood. 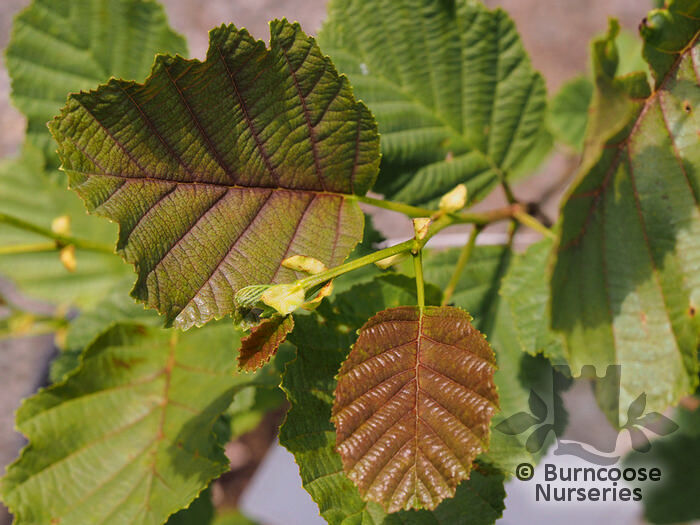 The UK alder, glutinosa, is a useful wildlife plant. Caterpillars feed on the leaves, the flowers provide nectar and pollen for insects, the seeds are eaten by birds, especially redpolls and siskins, and the roots provide holts for otters. Deciduous - alternate, simple, toothed leaves. Male (longer) and female catkins form on the same tree. Females form cone-like fruit after pollination. Additional Features	- Pests & Diseases - Phytophthora root rot. Commonly known as: Italian alder. 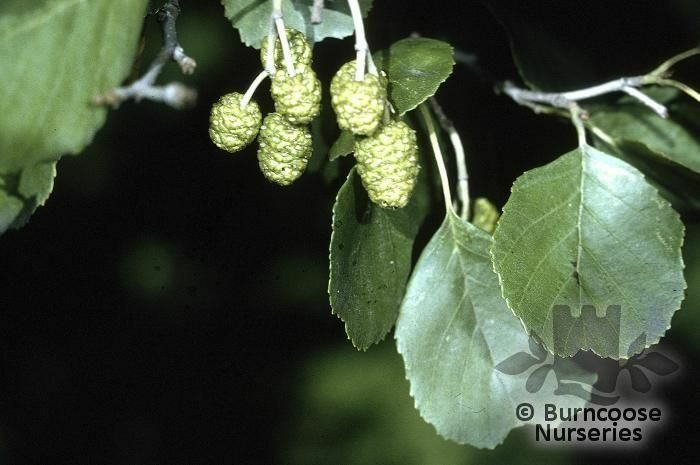 Commonly known as: Black alder, Common alder. 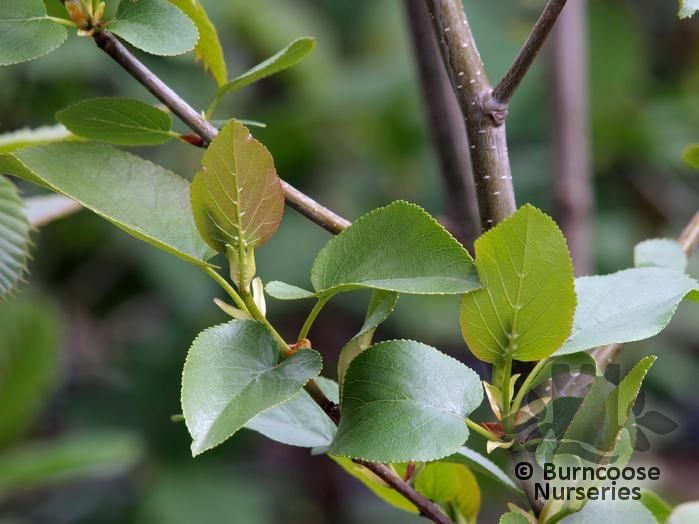 Commonly known as: European alder, Grey alder.